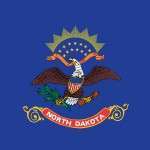 North Dakota Poker – Is Online Poker Legal in ND? Can you play poker in North Dakota? Legally? Thankfully, there are exceptions. This page will cover those exceptions for the 3 biggies – home, online and casino poker – in more detail. Just know that you DO have options – they just come with some rules. Home poker games are legal in North Dakota. There are just a couple of rules you have to follow. c. Engage in gambling on private premises where the total amount wagered by an individual player exceeds five hundred dollars per individual hand, game, or event. You cannot wager more than $25 per hand in a cash game. And you cannot wager more than $500 in a game or event. Otherwise you’ll face misdemeanor charges, up to $1,000 in fines and 1 year in prison. So, unless you like prison showers, those be the rules you need to abide by. I also suggest not charging anyone to play or charging them for food and drinks. There have been attempts to change this, though. In 2005, Representative Jim Kasper tried to make changes that would allow online poker. His idea was to have the Attorney General’s office oversee it (online poker), and have licensees pay a $50k application fee, $20k annual license fee and a $10 per player fee. Following the Department of Justice’s decision in 2011 to change their opinion on the Wire Act, Kasper was asked if he’d try again. But he was up for reelection for 2012. He said he was just worried about getting endorsed and that he wasn’t going to worry about issues like that. He said he had no idea if he would try again. Well, he never did. No one else has, either. That might be a good thing, though. North Dakota is the 4th smallest state by population. They would have a hard time running an intrastate poker site without outside help. You don’t have to look any further than New Jersey or Nevada – at their progress and revenue made – to see that. You can play live casino poker in North Dakota. There are several casinos that spread poker games. Outside of poker there are racetracks, a state lottery and charitable gaming. Poker is a charitable gaming option – but there are rules (see below). Poker activity must be conducted at an authorized site of the licensed organization. A poker tournament if it includes satellite qualifying tournaments may be conducted for not more than three consecutive calendar days of play. An organization may allow players to re-buy or add-on additional poker chips, which may be less than or equal to the original entry fee, provided that the total amount collected during a satellite tournament does not exceed $300 and the main poker tournament event does not exceed a separate $300 total entry amount. The total amount of prizes for a poker tournament may not exceed ninety percent of the gross proceeds”. Our Crystal Ball: What Does North Dakota’s Future Look Like? Experts suggest we’ll see online regulation sometime in 2018 or 2019. Unfortunately, that’s probably being a bit too optimistic. As long as the state’s tribal nations continue to fight and lobby against online gaming, I doubt we will be seeing any laws being introduced to revive online poker here in the state – at least not any time soon.